"Suicide Squad" slightly breaks away from the dark and gritty tone of what we have come to expect from a DC based film. With it, it brings more flash, panache and humor that actually helps the film to stand on its own. It's definitely better than the first two films in the Extended Universe and the most interesting. But we cannot deny that it is an experience that feels disjointed in terms of plot and overall theme. It was as if it wanted to be two different experiences at the same time. Superman is dead. As the world copes with its loss, Amanda Waller (Viola Davis) worries that we will be left defenseless when another meta-human arrives and we won't be as lucky as before. As her contingency, Waller conjures an insane plan. She decides to get the worst villains they have and assemble them as a team to do black ops missions. In exchange, this villains get some form of clemency for every mission they accomplish. When powerful and deadly entities show up at Midway City and threaten the world's very survival, Task Force X or the Suicide Squad might turn out to be our only chance to fight back. 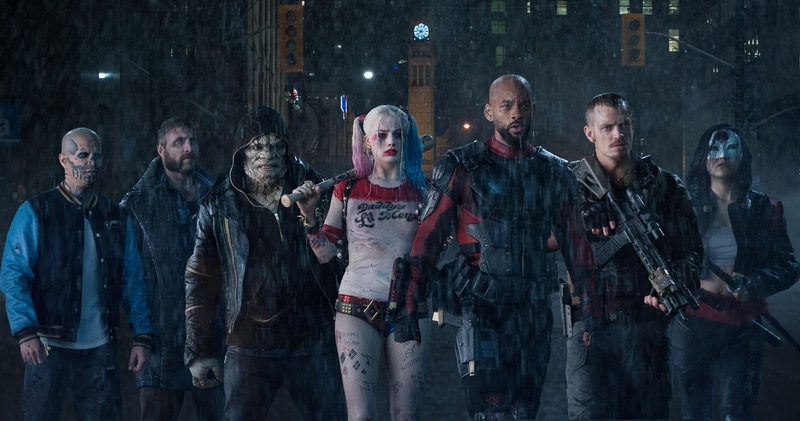 "Suicide Squad" is extremely fun when it works. The first few minutes sets the tone well with its introduction of the main members of the team. The neonfied and retroriffic visuals pop out and bring much character to these scenes and actually made these characters interesting from the get-go. That's why it baffled us why only a couple of those characters got full-fledged intros. Deadshot and Harley Quinn got around five each while the other members either got a minute or less or nothing at all. This sums up how we felt overall with "Suicide Squad". The film has great ideas but falls frustratingly short in execution. The plot is a good example of this as the first and last portions of the movie were great. It even got emotional in the last few scenes but the middle portion was a mess. Pacing was bad and we had a hard time understanding and following what was happening on-screen. As for the characters, Will Smith and Margot Robbie stood out. 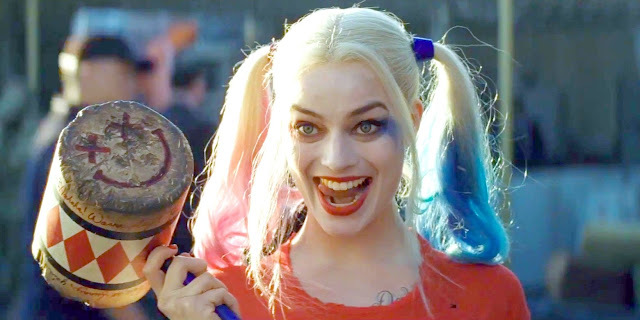 Will Smith brings in emotional heft while Robbie was just awesome as the crazy and sassy Harley Quinn. Jared Leto's take on the Joker was great but his total on-screen time was not what we expected it to be. On the other end, Joel Kinnaman was a huge disappointment for such huge role. He was just not effective in registering with us in anyway. This is the same case for Cara DeLevingne. Jai Courtney we just pity. His character, Captain Boomerang, was not even given a chance to be anything substantial. Action-wise, the film had plenty so that makes it definitely enjoyable. The continuous doses of humor brings a lot of fun too. In the end, "Suicide Squad" may have had its faults but we still feel it's a step towards the right direction for the DC Extended Universe. Things have slowly been improving that's for sure and while we expected more, the film still turned out to be a blast and the best yet to come out of this slate of films.